Yesterday I found myself with about a hundred other guys and gals in a gym waiting to dance, dance, dance. 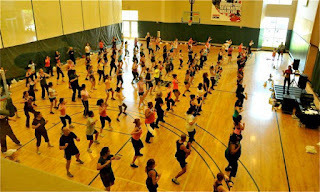 We were all there for a 2 hour Zumbathon to benefit Augie’s Quest and the Lifetime Foundation. I love Zumba! It is an amazing workout and more fun than you would ever imagine you could have while working so hard. Before the class in my super cute (in)RL shirt. 3 instructors came together to keep us energized and work every little teeny tiny muscle in our bodies. I have seen my strength and energy increase dramatically, but that didn’t keep me from nearly collapsing into my car afterwards. I wasn’t alone in this! I am incredibly blessed to be able to participate in any physical activity. Most of us take even the simplest motion for granted on a daily basis. This was a benefit to raise funds and awareness for ALS, often referred to as Lou Gehrig’s Disease. This was held under the umbrella of the MDA – the Muscular Dystrophy Association. The work of the MDA is very near and dear to my heart because of my nephew, Mark. I’ll tell his story another day. So while I may gripe and wince some due to the shrieking muscles in my back, arms, legs and abs, I know this is temporary and will only make me stronger. Not so for the many stricken with this dystrophic diseases, including Mark and Augie. Their pain and discomfort is constant, permanent, and often fatal. I’ll gladly give up a little comfort and some cash if it keeps these issues close to my mind and heart. So here’s my challenge to you: find an event to participate in that will benefit someone else. If you can find one that has a direct relationship to your own life, that is wonderful. Maybe you can broaden your empathies and find a way to benefit others you’ve never thought of before. EveryBODY wins. It’s one way you can DO GOOD! There is nothing lame about our Zumba. It's one of the most intense, but crazy fun things I've ever done. Here are some pics. https://www.facebook.com/media/set/?set=a.3738405655189.250459.1127575246&type=3 I'd love to Zumba with you! You have to come to the next event. 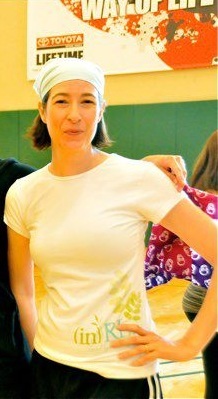 I have a friend who is a Zumba instructor and she loves doing it too. Once I get the 5k101 done I want to run a 5k with my hubby. 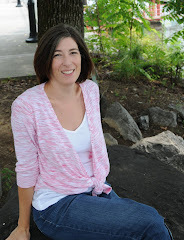 Excellent post, Amy!!! So, the only times that I have done Zumba were in the youth cabin with very close friends. I have about 30 pounds to lose before I want to shake it in public! :) That being said, I LOVE the challenge to find something to support. I am not a runner either, but I will be keeping my eyes open for other opportunities- they are all around if we are willing to see.